Height: 15". Width: 7.50". weight: 2.8 lbs. Made of rustproof aluminum. 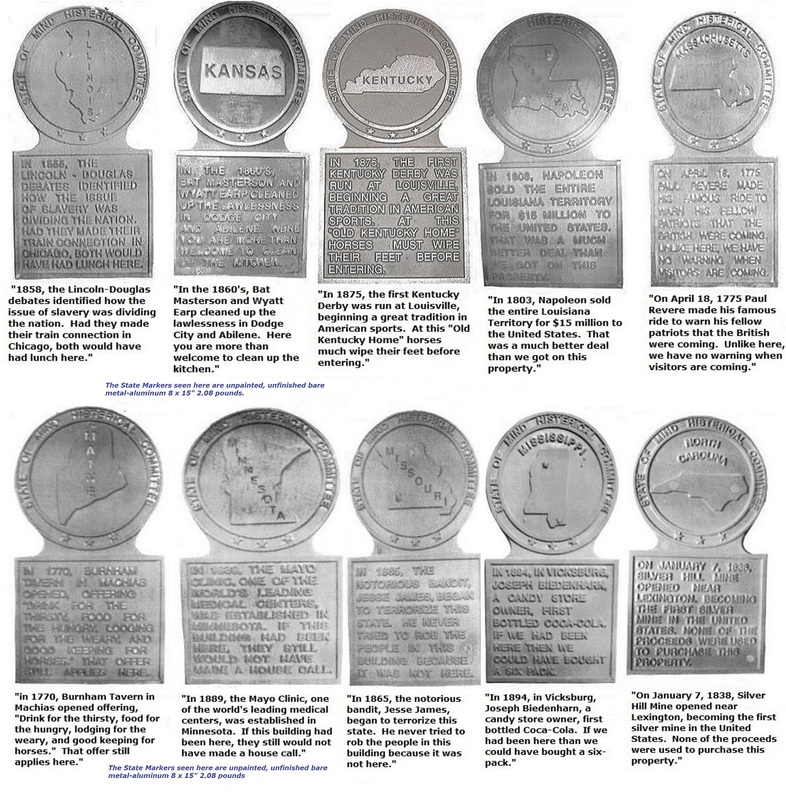 Lettering and state is raised metal. Use indoors/outdoors. Top of the plaque reads: "STATE OF MIND HISTERICAL COMMITTEE". 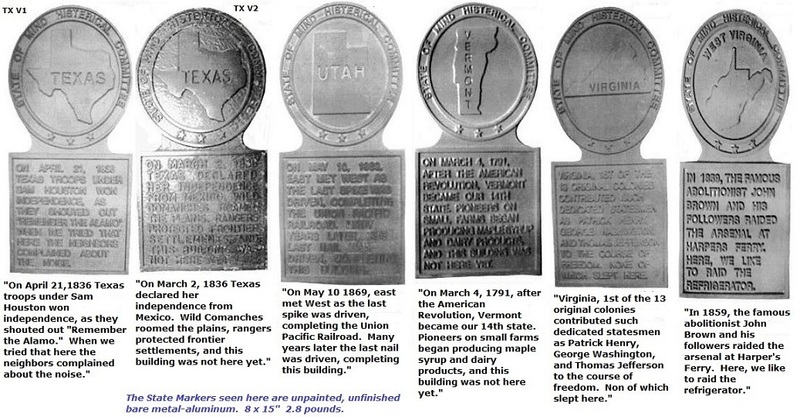 Center: Has a raised outline of the state and the name of state recessed in. 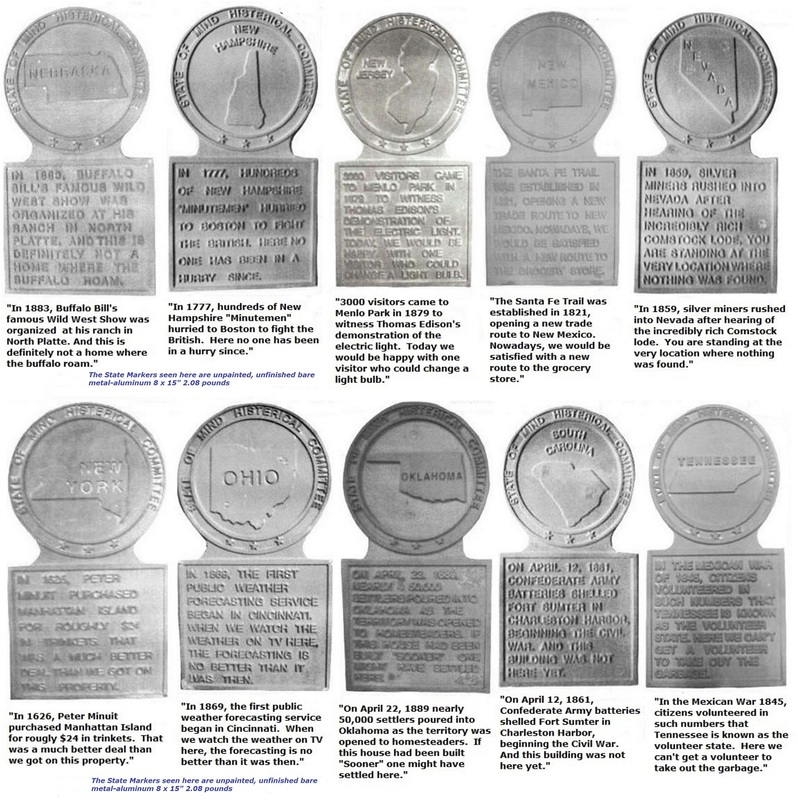 Bottom of each plaque has a different saying for each state. Comes with mounting screws. Hand-painted made in the USA. 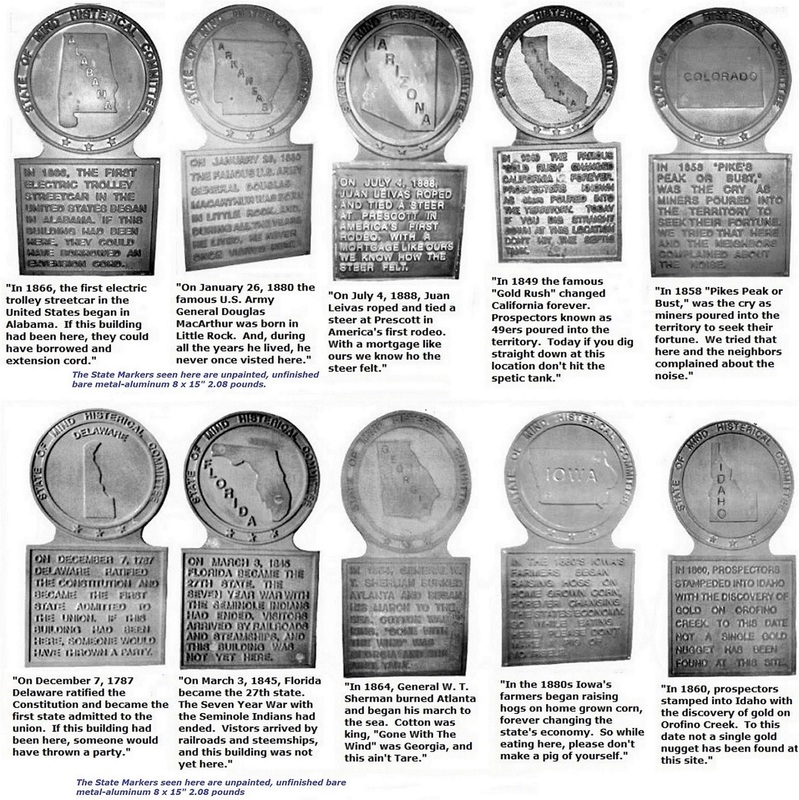 Click below to see the marker available for your state.